Mobile apps have been highly instrumental in the effective processing of the small and medium enterprises making them sustain themselves in the market. Adoption of technology and its evolvement has certainly been a boon to the Small and Medium Enterprises. The impact of technology, especially mobile technology has been such that almost 1/4th of the Small and Medium Enterprises are seeing a double fold revenue growth and their job creation rate is 8 times. Mobile apps are no longer considered just as a method of branding for the SMEs. by becoming the mainstays for the newbie to withstand the grueling new age competition and compete with the tech biggies. Mobile technology has been the main rescue for the small and medium enterprises with its effective strategies and the capability of providing greater opportunities. It has made the businesses to streamline their product or app development process and allowed even the non-coders to create fully functioning apps and reduce their cost of development. For the small and medium enterprises, the foremost criterion is to get in touch with their customers and for this, they needed a mandatory website. But, with the emergence of mobile apps, the businesses can be more appealing to their targeted customers as mobile apps are easy to access and also provide a more personalized experience as compared to a website. 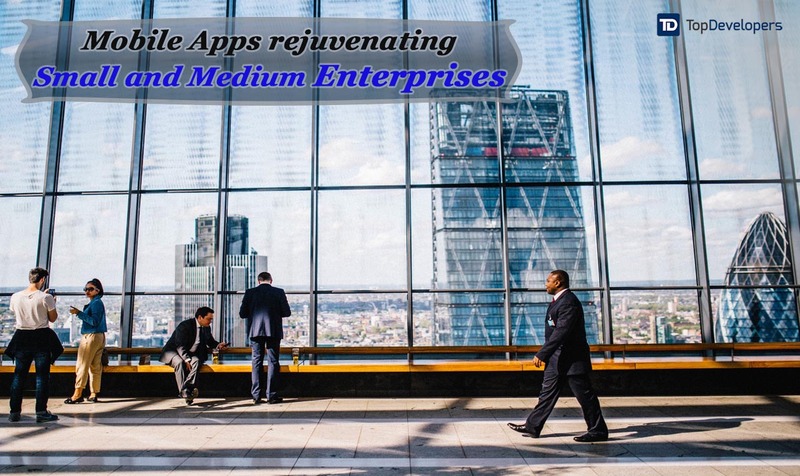 Therefore, let us go down deep to know the manner in which mobile apps are rejuvenating small and medium enterprises. We live in a world where the customers have a volatile memory. They tend to forget the thing or the product which doesn’t remain in the limelight. Thus, for the SMEs, it is essential to have a mobile app as it can be vital in increasing their product’s visibility. They will help in increasing the traffic by providing your product a whole new avenue of search. With the mobile app, the customers will have the access to your product 24*7 and thus will increase the chances of going in for the buy. The small and medium enterprises can use the mobile apps to keep their customers updated about their new releases or schemes. It will help you reach out a maximum number of customers and especially the millennials within a very short span of time. Mobile apps possess enormous potential to woo in the customer for long and thus increasing the customer engagement. People even from the remotest part of the world can view and buy from your product through a mobile app and thus will spread your business in all the possible directions. Showcasing the product also becomes easier as the barrier of distance, as well as the language, gets completely eliminated with the inclusion of mobile apps. Maintaining customer loyalty is one of the major aspects for the SMEs as in the initial stages. 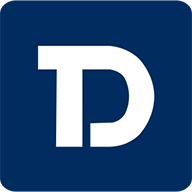 Therefore, by including a mobile app, the small and medium industries can provide lucrative in app purchase to the customers. Along with this, rewarding them with offers and coupons will increase their interest in your product and will compel them to opt for it frequently. With a mobile app, you can build strong and sincere customer connection that is much needed to provide the initial momentum to your product. The mobile apps will be the key to keeping track of the needs and wants of customers and thus will take your enterprise closer to them. Mobile apps are still in their infancy of getting adopted in the business arena. As far as the small and medium enterprises are concerned, you’ll not find many mobile apps in usage. Therefore, owning a mobile app will give you a unique recognition among your peers and will keep you miles ahead of your contemporaries. Also, from the point of view of the customers as well, this will opt for your product as the mobile app will give them a detailed knowledge and immersive experience related to the product. You can also include technologies such as Chatbots with your mobile app, so as to give real-time solution to your customer’s query. Thus, with all such unique attributes, mobile apps will play a major role in keeping your company in the mind of the customers that will in turn keep you ahead of your competitors. Along with being a competent marketing arsenal, mobile apps can be a complete business solution to your enterprise if done in a correct manner. It can be used emphatically in promoting brands, educating the targeted audience and also providing excellent customer service. As the major audiences are millennials, they are bound to be tech savvy and nothing better than a mobile app can be the medium to connect them while on-the-go. Stats also support the above sentences. Over 80% of the SMEs leaders believe that mobile technologies are the best method to provide them flexibility in their business methods. Also, 60% of the business leaders are investing in mobile technology as it will give them a one stop solution to all their business problems. Mobile app methods are innovative, immersive and appealing catering the best possible benefits to all businesses associated with it. It is predicted that the mobile app downloads from the App Store will increase by 100% by the year 2020. Therefore, it becomes necessary for the upcoming businesses and organizations to pull up their sleeves and include mobile apps in their working methodologies so as to sustain themselves in the market and reach newer heights with time while simultaneously improving customer engagement.